Decades after Richard Ramirez left thirteen dead and paralyzed the city of Los Angeles, his name is still synonymous with fear, torture, and sadistic murder. 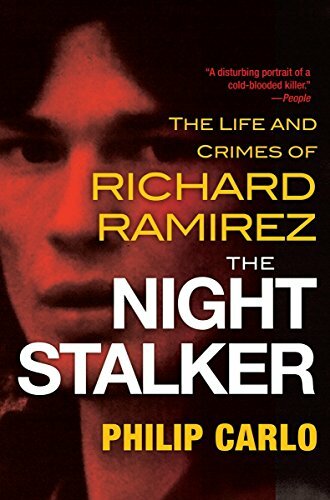 Philip Carlo’s classic The Night Stalker, based on years of meticulous research and extensive interviews with Ramirez, revealed the killer and his horrifying crimes to be even more chilling than anyone could have imagined. From watching his cousin commit murder at age eleven to his nineteen death sentences to the juror who fell in love with him, the story of Ramirez is a bizarre and spellbinding descent into the very heart of human evil. Incredibly, after The Night Stalker was first published, thousands of women from all over the world contacted Carlo, begging to be put in touch with the killer. Carlo interviewed them and here presents their disturbing stories and the dark sexual desires that would drive them towards a brutal murderer. And in an exclusive death row interview, the killer himself gives his thoughts on the “Ramirez Groupies”—and what he thinks they really want.